We understand that the Jerusalem Prophecy College online learning environment can be a little confusing at first. This page is dedicated to frequently asked questions about the enrollment procedure and courses. If your question or answer isn’t found below, please review the Enrollment or Online Learning Environment page for more information. The cost of attendance is $59 per course. This amount will cover all the material that is provided within the course. There are virtually no additional costs to attend outside the enrollment fee for each semester. 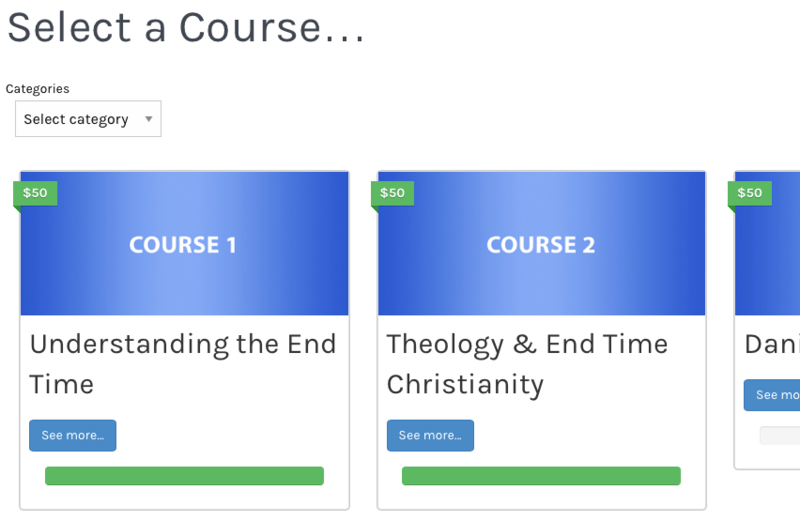 Once logged-in, click the Available Courses link at the top of the webpage. You will then be taken to a page where you can watch a video (as many times as you want), view/download a lesson outline and when you are ready, take a quiz. I’ve forgotten… Where can I find my lessons? Log into your student account you created when you followed step 1 on JPC website. Once log in is successful click on “students” at the top and then “my profile”. You will see the course you signed up for under “registered courses” click on the course. Courses will only be present if you paid for the course and payment was successful. If you have a question, you can fill out and submit a Work Ticket by selecting the Student Support tab found under the Students tab on the JPC Homepage. 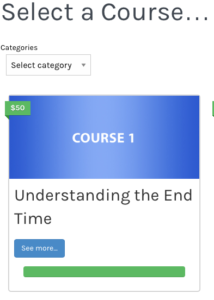 Must I take the courses in a particular sequence? Yes. JPC courses are numbered 1-11. The courses are designed to only be taken in that sequence. Taking courses out of sequence is not permitted. JPC Online uses the curriculum taught at the physical college in downtown Jerusalem through an online learning environment. For detailed information, please check out the Online Learning Environment page. The course of study is broken up into 5 semesters. Are all courses to be taken completely online? JPC is a fully automated online learning experience. 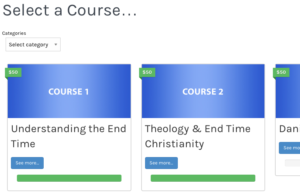 All courses are completed online. With the exception of a Bible, no additional textbooks are required. Is JPC accredited and will I receive a degree? At this time, JPC is not designed as an accredited institution. Instead, we have endeavored to give students a comprehensive understanding of the prophecies of the Bible and foundational Biblical teachings. 11 total semesters each with 11 to 18 lessons. Each lesson consists of a video lecture ranging from 45 minutes to an hour and is accompanied with a short quiz to highlight the important points. Students should budget a minimum of 2-3 hours each week to complete a lesson. How can I review my completed quizzes? All grades are stored in your student profile! Click here to go to your profile. Why can’t I move on to the next lesson? Go to the last lesson that you completed. Scroll down under the quiz link and click on the “save and continue” button. Once you do that, it will show the quiz as complete and allow you to move on. This happens randomly, on different lessons and only to random accounts. If you scored under an 80%,the system will not allow you to move on. Tocheck your grade to see if you passed, click the “Students”button at the top of the Homepage,choose “My Profile”from the pull-down menu, click on the arrow to the left of the course you’re in. (Your score will be to the right of the quiz link.) If your score is under 80%, you will need to take the quiz again. To view your completed quiz, click on the clipboard in the Statistics column. (Your questions will appear.) If you missed a question, click the view button underneath the question to see the correct answer. (A dot in the circle in front of the answer is the answer you chose. Green is the correct answer. Red is an incorrect answer.) Also, keep in mind that any of the quizzes or tests may be taken multiple times if you like. Will I receive a certificate or diploma for this? Yes, there is a printable certificate that you can print out with Irvin Baxter’s signature. It is located in the students “My Profile” area once required work is completed. It’s a certificate symbol. Click on it and it will expand and allow you to print it out. The certificate symbol comes up when courses 1-5 are completed and another one when courses 6-11 are completed. 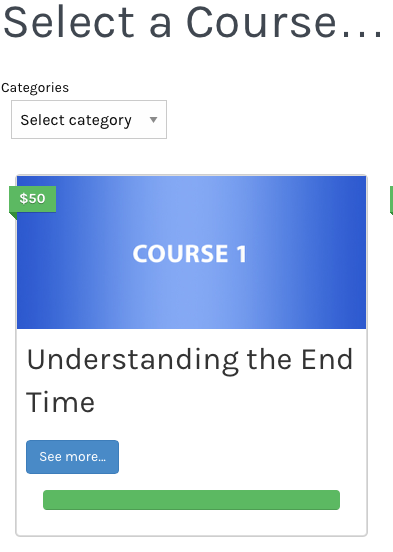 I paid for the course and when I go back to the website it is making me pay again. Why? This means you’re not logged into your student account and the system recognizes you as a new person, not an existing student. Please remember, every time you come to the website you MUST LOG IN before doing anything. It will tell you whether you are logged-in or not in the upper left corner of the webpage. If it says log-out, you are already logged-in. If it says log-in, click the button and log-in. I’ve purchased and studied some of Irvin Baxter’s material/I teach the Understanding the End Time and/or Endtime University Bible Studies. Can I test out of some of the courses? You will need to create an account and then contact us by submitting a support ticket for the specific course you want to attempt – click here. We will provide access to that course. You will have one attempt at each lesson quiz, midterm, and final. If you are unable to pass each quiz on the first attempt within an agreed upon timeframe, you will not be granted permission to move forward without enrollment. I started the college 2 years ago and stopped. Can I pick up where I left off? You may start with the next courseIFyou completed your previously enrolled courses completely and received your grades. If you did not complete a course due to personal reasons, you must enroll in that course again. You will still need to complete step 1 on the JPC Homepage and contact us – click here, stating that you wish to move on to your next course of study. Please include the email you will be using for your JPC courses so she can adjust your student account. Didn’t see your question above? Your answer can probably be found in one of the other pages. We are working hard to make this process as simple and understandable as possible and are dedicated to continually updating this page as more questions become more frequent. If you cannot find the answer you were looking for, click here to contact us.